The safety of your family, property and your possessions are your number one concern, whether you are at home or away, and with Proguard Security your safety is also our priority. We are a family-run business working locally to ensure the safety of people just like you. 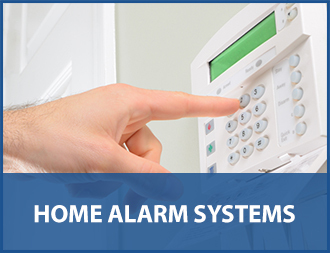 We offer home security inspections to ensure that you have the right security system for you. Did you know that installing a home security system by an accredited company, such as Proguard, could reduce your annual home insurance premiums? With technology evolving Proguard is able to offer so much more than an alarm system that will ward off an intruder with home security solutions including alerting security personnel to controlling the lights from your smartphone – they are both sensible and efficient choices for individuals who know the value of what they have. As a reputable home security company, we offer a range of security systems that give you the peace of mind that you need when leaving the home. This includes high quality home CCTV installation and burglar alarm installation to 24-hour emergency locksmith and home monitoring services. Our head office is situated in Walsall and our services are offered throughout the West Midlands, covering areas like Birmingham, Wolverhampton, Cannock, Dudley and Wednesbury within a 30-mile radius. We offer free home security advice regarding maintaining, upgrading and replacing your existing security equipment, we retail value-for-money alarm and CCTV systems, and provide hassle-free installation, maintenance and monitoring services – all designed to guarantee your peace of mind. Put your possessions, property and the people you care about into the hands of a home security company that is big enough to provide the service but also small enough to care. For more information and free home security advice please use our quick enquiry form call our experts on 01922 610007. Pro-Guard Security shared a post.